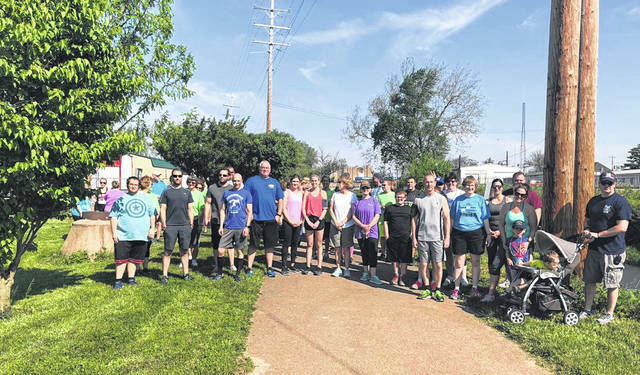 Participants prior to starting the Great Strides 5K Walk/Run in 2018. The ninth-annual Great Strides 5K Walk/Run in Washington Court House will be held May 11 beginning at 10 a.m. The purpose of Great Strides is to raise awareness of cystic fibrosis and funds for the Cystic Fibrosis Foundation. According to one of the volunteer event coordinators, Melissa Garland, they work with the Columbus chapter for the foundation. Although there is not a required fee to come out and support their cause, they are accepting donations. Participants in the walk who donate at least $10 will receive an event t-shirt. The walk will begin at the McHenry Field off Circle Avenue in Washington Court House. Participants will follow the bike path to the cemetery and back to the field where snacks and water will be provided. “Cystic fibrosis is an inherited chronic disease that affects the lungs and digestive system of about 30,000 children and adults in the United States (70,000 worldwide). A defective gene and its protein product cause the body to produce unusually thick, sticky mucus that clogs the lungs and leads to life-threatening lung infections and obstructs the pancreas and stops natural enzymes from helping the body break down and absorb food. Melissa and Jim Garland had a son who passed away with this disease, and Paulette Rheinscheld also has a 29-year-0old daughter with the disease. Sollars said, “It’s known as an invisible disease.” Even when a person looks completely healthy on the outside, they may be unable to function or move. Every day, activities like walking up stairs can be extremely difficult. Sollars will be at the event although she won’t be walking. 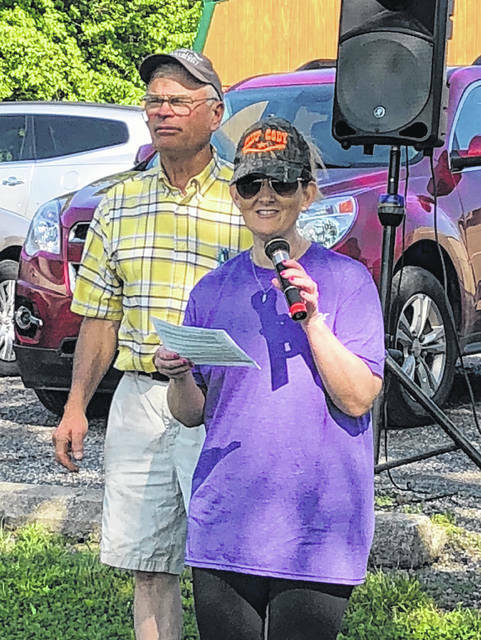 She said, “I think it gets the community involved.” Part of this involvement is raising awareness of the disease and learning information on what it is and how it affects people. The community is invited and encouraged by the event coordinators to join them in support of spreading awareness and raising funds to cure this disease. All are welcome, even if they are unable to donate right now. The link to register and donate online for the Washington Court House walk is http://fightcf.cff.org/site/TR?fr_id=7449&amp;pg=entry or you can go to www.cff.org/greatstrides and search for the specific walk or walker. For more information on Cystic Fibrosis, please go to https://www.cff.org/What-is-CF/About-Cystic-Fibrosis/.